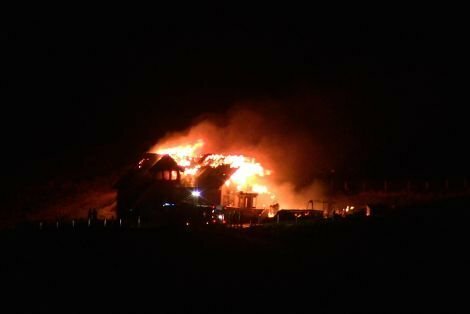 FIRE fighters from Lerwick, Brae, Scalloway and Bixter are currently tackling a fire in a house in Vidlin. Fire Control said they were alerted to the emergency at half past eight on Wednesday night. The one and a half storey dwelling house on a narrow side road at Kirkabister was well ablaze when fire crews arrived at the scene. A spokeswoman said that fire fighters were using three main jets to get the fire under control.